Joseph Doucette graduated from The Hartt School with his Bachelor of Music degree, and received his Master of Music degree from Temple University. 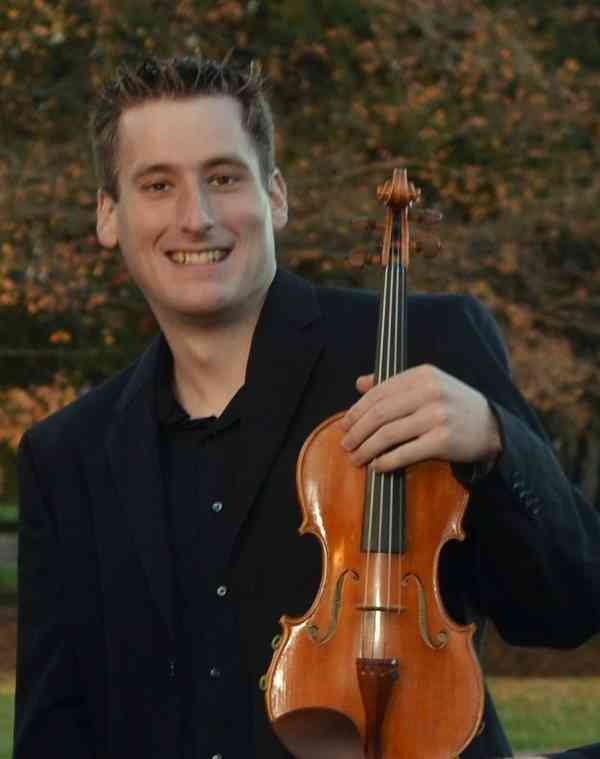 He has studied violin and viola with Hirono Oka, Ana Tsinadze, Anton Miller, and Robert dePasquale, and has had lessons with Barbara Gavotos, William dePasquale, and Gregory Fulkerson. He is a certified Suzuki teacher, having trained through books 1-3, 5-7 with James Hutchins, Kirsten Marshall, Christie Felsing, and Martha Shackford. He has played with the Hartt Symphony Orchestra, as well as held principle positions with the Temple University Orchestra, and has toured Peru with Instrumentos de Albanza. He has interned with the Hartford Symphony Orchestra, and served as a management assistant with the Ambler Academy of Music. Currently, Joseph is an artist-lecturer in Suzuki violin at Moravian College, and regularly performs with the Doucette Quartet/Trio. His background as an orchestra member, chamber musician, and freelancer, has shown him how important it is to teach and share the music that he loves with his students. Joseph believes that with motivation, encouragement, and exposure to fine music, any child can learn the skills and patience it takes to study a string instrument.